Our agenda is photobooks. Even though it is brought up repeatedly nowadays just like a pop song, actually the lyrics hasn't been written yet. There were people who studied and analyzed the subject, contemplated on it and incorporated the medium into their artistic practice well in advance. As for me, I became familiar with it recently, and I have to admit that the photobook as a medium preoccupies my mind continually in terms of its style, technique and materials as a designer and an editor, along with its content. When it comes to writing about photobooks, it seems reasonable by definition of the medium, to search through our own libraries before the internet or ourselves. 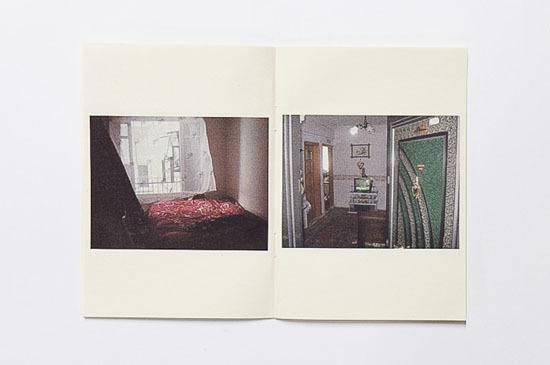 The first book that catches my attention on my shelf and a the first in my personal history of "photobooks" is Selim Süme''s work "289 KD." 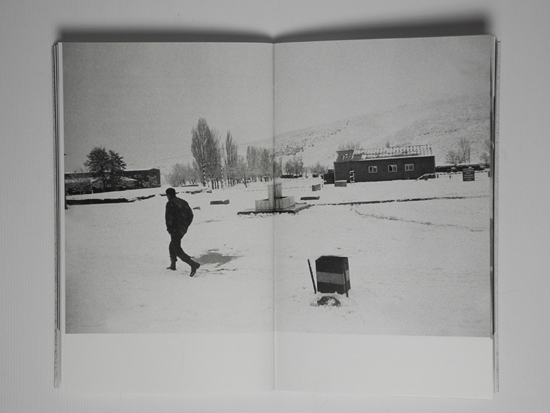 This book in which Süme tells about the notion of military service as an insider, consists of photos he took when he was doing his military service. He establishes an embedded narrative in which neither the photographs narrates the text and vice versa. This powerful relation between the photographs and the text thrills the viewer and incites him/her to think/understand. Especially if you think that all the comments from outside on a particular subject like military service are factitious, the pages of diary "289 KD" harbor unreserved feelings anyone can relate to. When I first saw the book, I thought I could never have the same experience I had in an exhibition space. I couldn't just imagine trying to read the texts among large size photographs inside a grand room. Back then, I appreciated the narrative method which we didn't call "photobook" yet. Witnessing the social yet really personal story in 289KD as an individual rather than being in some group of people, allowed one to establish strong connections with it. Recently, when I flicked through its pages and saw the details once again, I thought about why it is a better medium than an exhibition, this time for a different reason. Ali Taptık's and Okay Karadayılar's work "Open House" is a book lost among the book jam but I know about the presence of. To me, the importance of the book is that it enabled me to think about what kind of work can be made into a photobook, why and in what conditions. "Open House" consists of images taken from renting websites. The spaces considered as places of private lives are revealed in shambles by those who own them. This interesting situation turned into a photobook by printing the images on enzo paper, a yellowish and woodfree paper, and the book itself doesn't have a hard cover. In this manner, these images in which the details are insignificant in terms of their mission on the internet, enable to show the existence of the photographs in their banality of everyday life, without attributing any value to them whatsoever. Even though when I first saw the book, I thought it was a little brochure, I believe it was presented not as a big/glossy/expensive to be the right choice. When I think about the books I have seen in my friends' libraries or in workshops, the ones I had the chance to look in Filbooks or the ones I saw on the internet unfortunately without touching, in other words if I think hard, I am sure I will come up with more photobooks to cite. But as in every field, the field of photobooks is broad and I only tried to commentate on 3 books which gave me an idea of why and how to make a photobook is. As you know, photobook as a medium has come to prominence recently, for who knows. It would be fitting to say it is just like in Begüm Yamanlar's work! Therefore, we have come to include the narrative/production styles and the impression the photobooks make and the outlook of contemporary art and art market into our conversations - maybe with a bit of gossip. 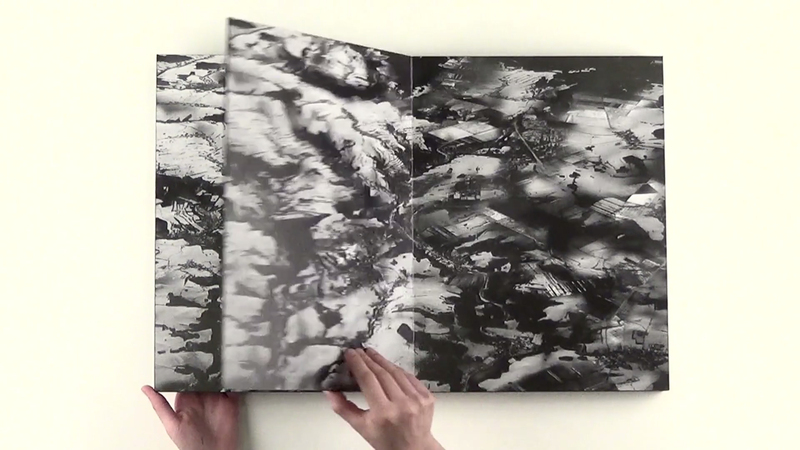 It can be argued that one of those issues is that the photobook allows the artist a portable exhibition space, and another is that photobooks has turned into a fetish. It is sad to see some of the photobooks are out of reach due to the materials, the artisanship and their limited editions. They become "non-works-of-art" that we can only view from digital copies/videos, rather than a solid one. Surely, that village is ours even if we can't go or see (1), but I also think we waste our breath in cold comfort. What I get from here, is that it is not possible to own photobooks as we own other books. One might also say that's what makes them art, but it will be a shame for literature. The idea that owning a photobook doesn't yield any return materially to its owner, and on the other hand has a value in terms of status is another topic of discussion in our conversations. It grants a status like in every accomplished work to the artist who puts what s/he wants to convey in order in a book format, along with his/her practice in photography, produces a competent work through the narrative and his/her effort, and conveys his/her work in an ideal way. On the other hand, maybe it only makes the artist powerful just because of the effort put in it or the medium itself. For photobooks have become cool and just because you have one, you can be a cool/good artist who is one step ahead of others. As if. I guess, like in every trend, photobooks as a medium reserve everything human in itself. Like we are perfect in every way, so that's why we ill-treat the photobooks? After all, photobook is only a method. That's why it is senseless to praise or criticize the method. We should try to understand more, think on it, question and ponder on it. Similarly, the reason this update is focused on "photobooks" is an effort to make the opinions on it visible as well as the medium itself. We wish that similar efforts will continue in different mediums as well. Otherwise, we haven't publish any update on "photography exhibitions" but presentation of the works has always been important for us. We can also talk about a new medium if there is any in the future like "hologram books" and then photobooks as a medium may be established. And why not?